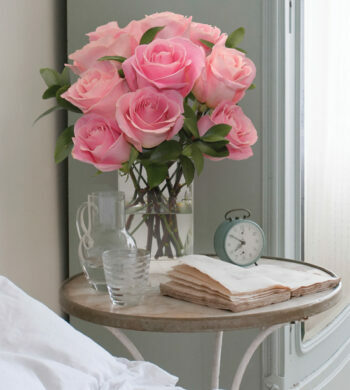 Home|The Flower Lovers Blog|Beautiful Flowers! Hi Flower Lovers! We wrapped up our Fall 2013 photo shoot and after the last shot was taken, we had some fun putting together beautiful arrangements to share with you, our blog followers. Here at Calyx, we love flowers and any excuse to play with them is a real treat. The bouquet shown above is simple yet ever so appealing. 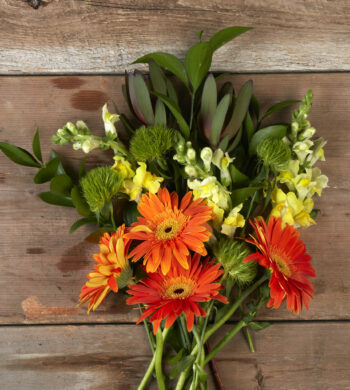 This beautiful bouquet is perfect for a guestroom or a bathroom. 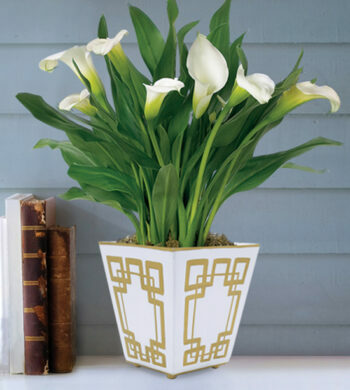 The container is a French-style bath jar, easily found in a powder room or a home goods type retailer. It’s always fun to find unconventional vases around the house that will make for for an eye-catching arrangement. 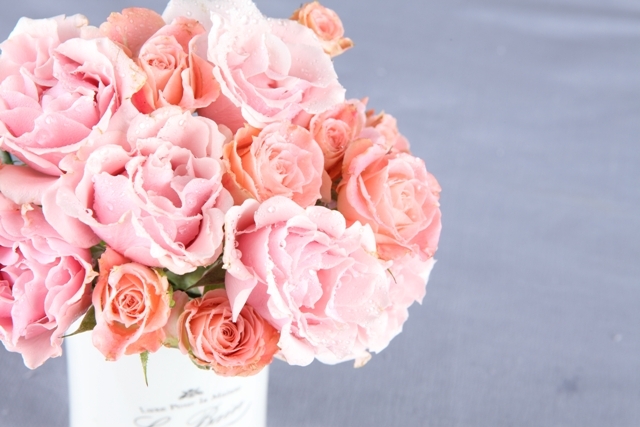 The bouquet shown below is a great example of how to display flowers in a charming and rustic way. Leaving flowers out around the home in baskets is a wonderful way to embrace the summer and show off your inner country goddess. 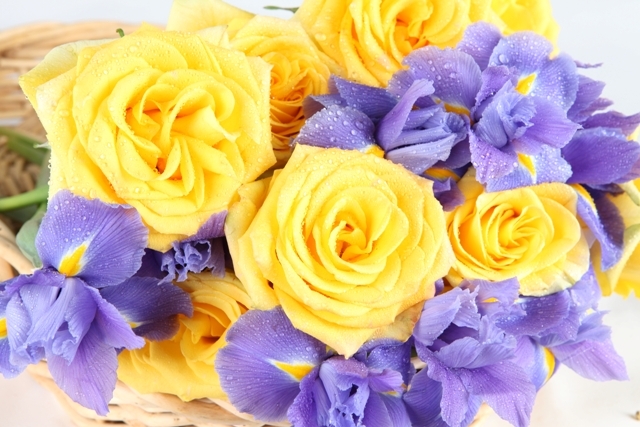 We chose yellow roses and Telstar Iris but the sky is the limit for this fun display! Using fresh wild flowers is another great option, this could also make a great housewarming gift for a summer move in! The final bouquet shown below is a personal favorite. 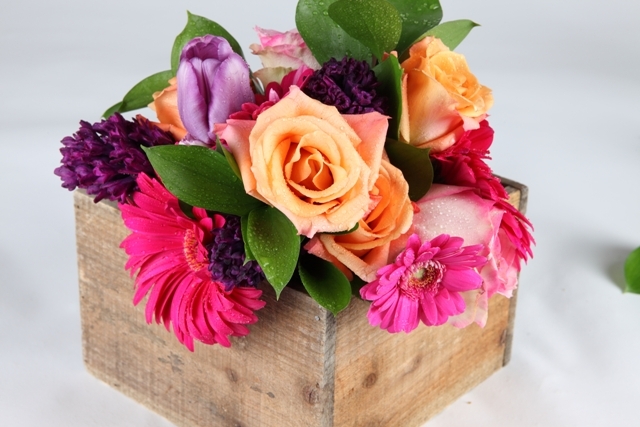 The medley of bright colors paired with a simple brown wooden box is chic, fun, and charming. This bouquet looks like it belongs on a dinner table outside in Nantucket, late Summer or early Fall. When arranging flowers, the most important thing to remember is to have fun! 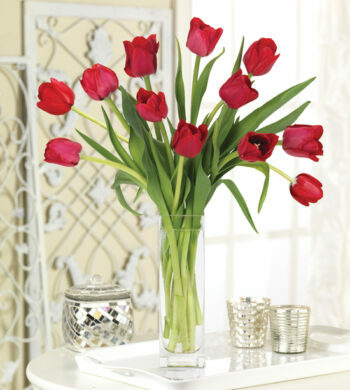 There is no bad arrangement, pick your favorite flowers and find a creative and free form way to bring them together. Putting flowers together is a way for you to be the artist and display your creations to all those you love. Take tips from us, get out in the garden, and put something beautiful and creative together for your dinner table!